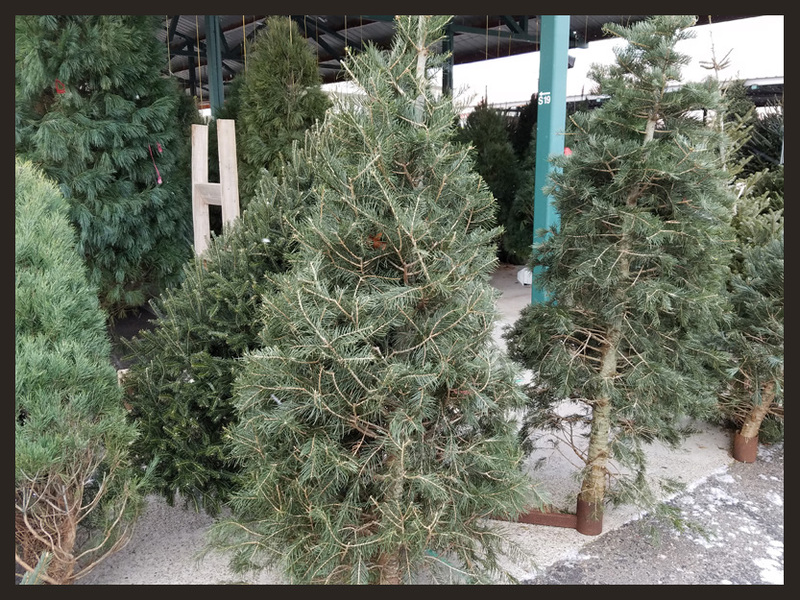 This glossary is a refrence tool for you to see the wide variety of trees, greens, accents, branches, pots, wreaths, and the many other things we well here at the Farmers Market Annex in November and December. The classic Christmas Tree. This tree does very well indoors (with water). Branches of flat needles and a perfect cone shape. A wide range of heights and widths available. 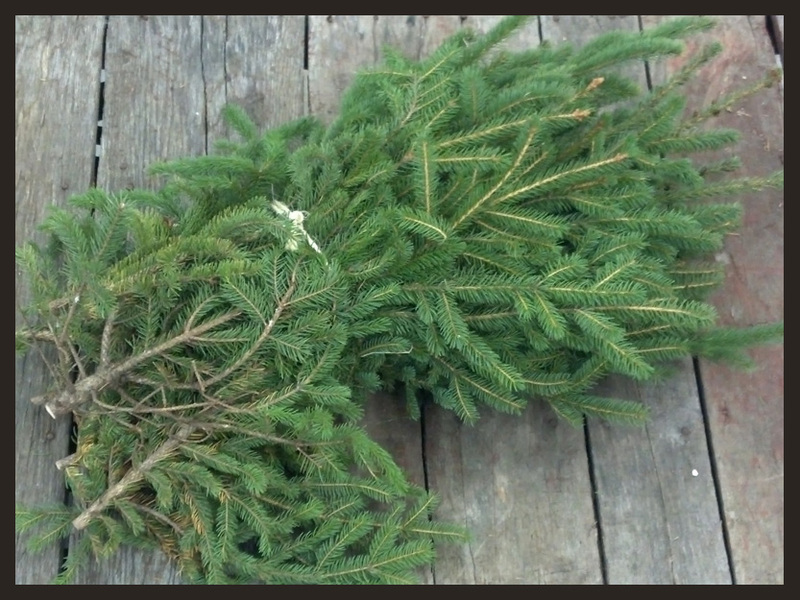 This is like a Balsam and Fraser Fir had a love child. A relative new comer to the Christmas Tree world. 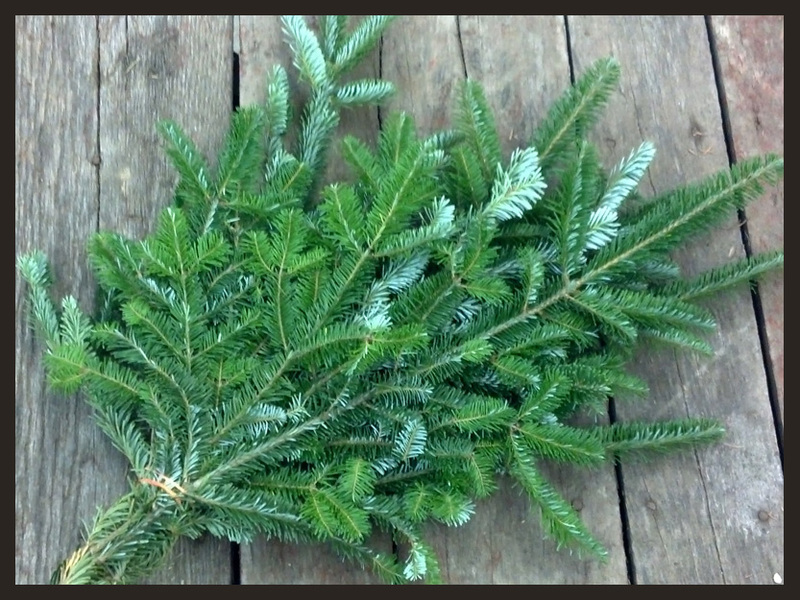 You get a flatter needles of the Balsam Fir, but with the heartiness and longevity of the Fraser. Like a tree with some curves? This is the tree for you. 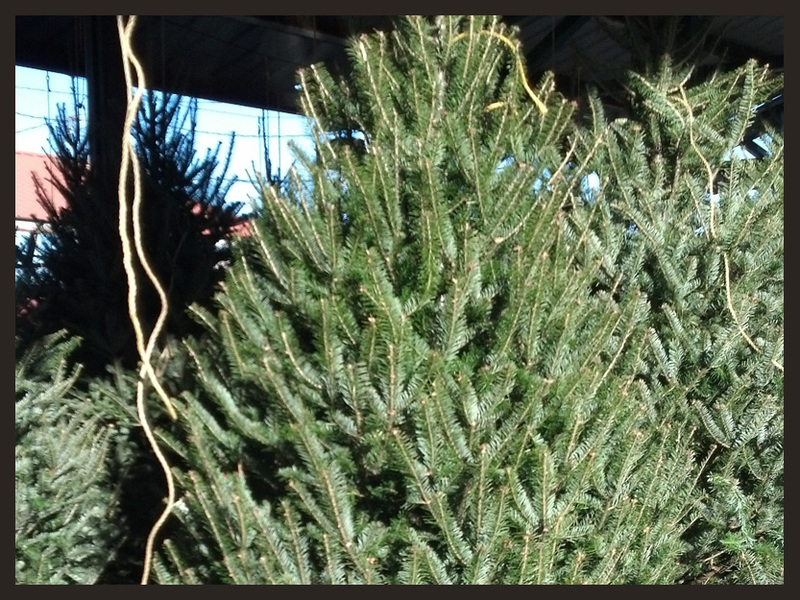 A thinner tree than other Firs, but longer needles than them as well. 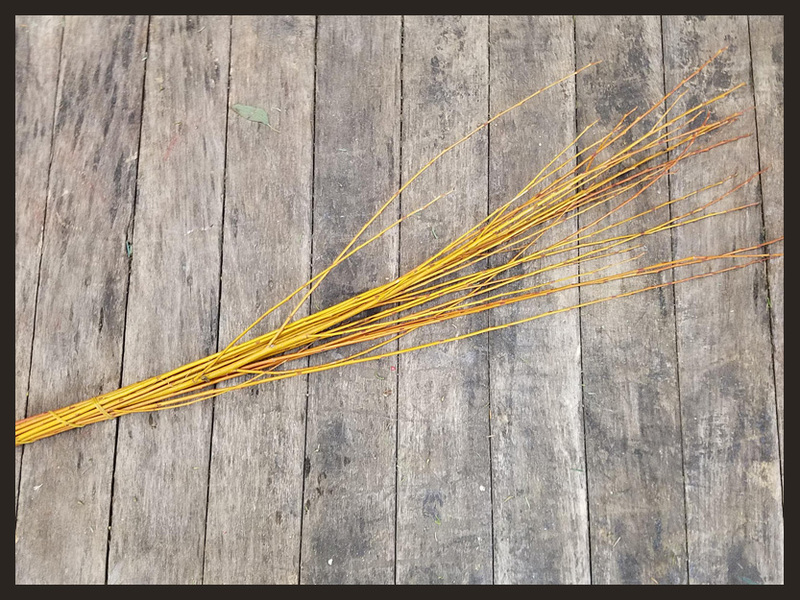 The curves come from both those longer needles and its branching. 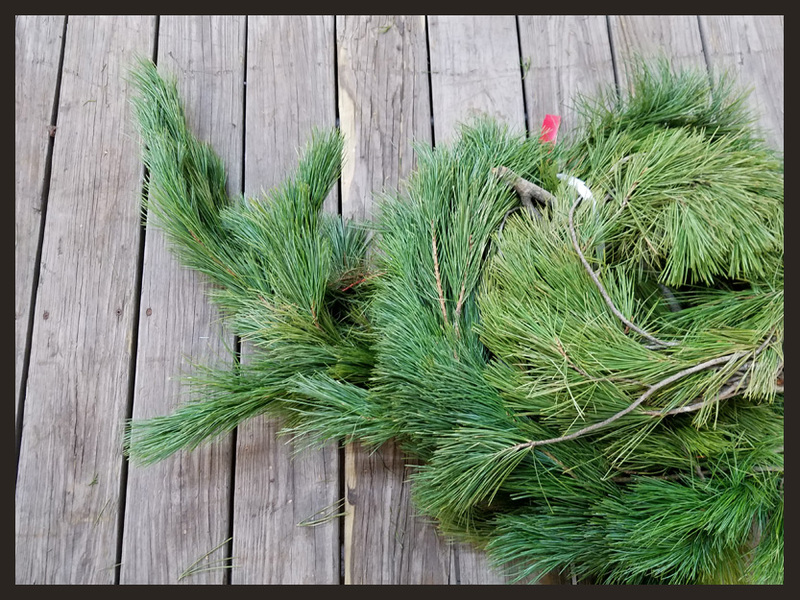 Both have a curl to them that you won't find in other evergreens. The classic Christmas Tree +1. Same range of sizes and shapes as the Balsam, and still has that classic cone shape. 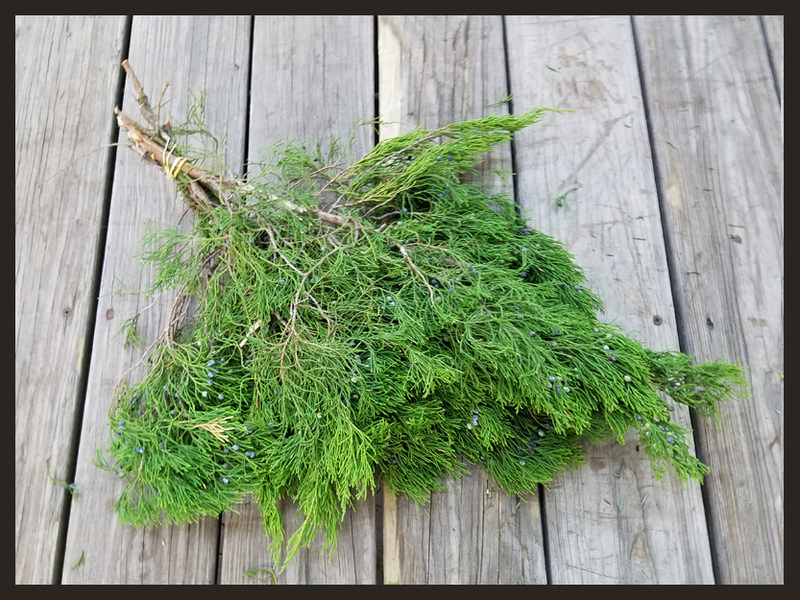 This tree doesn't shed as much as the Balsam and has fuller branches of needles. The most popular tree. A unique variety you won't find anywhere else in town! 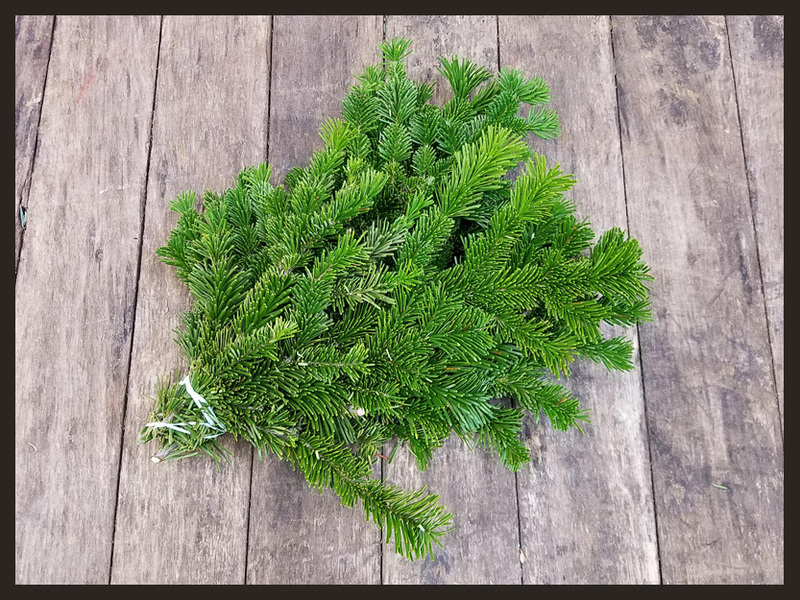 These have soft, bright green needles. 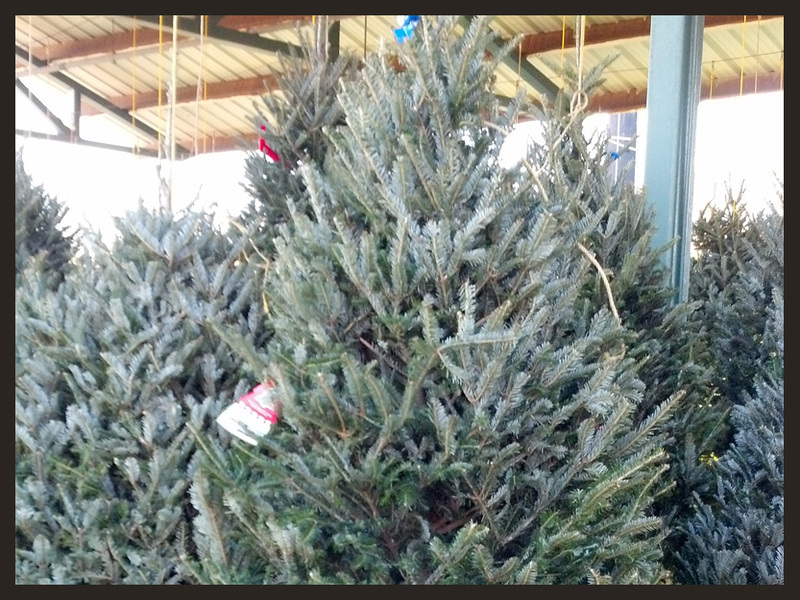 The tree has a more layered look (Charlie Brown Tree like). 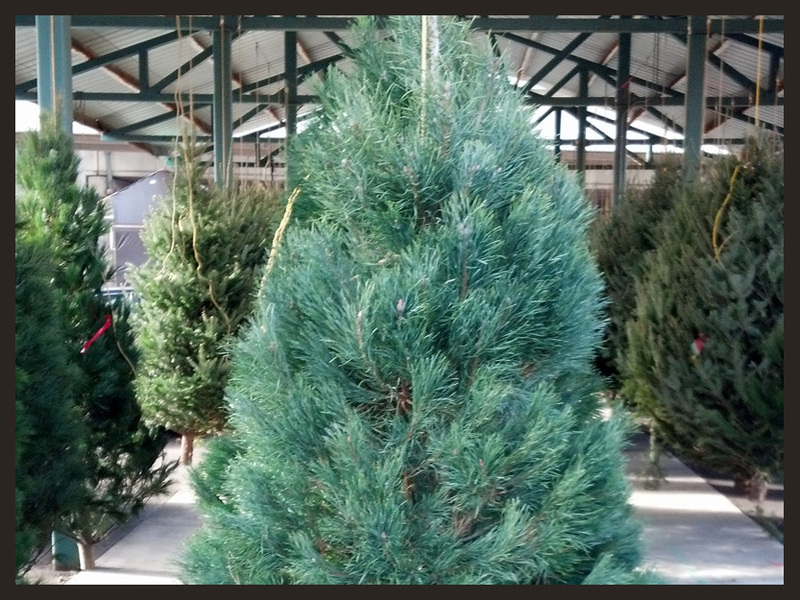 But the sweet smell of these trees are second to none. Be the first in your family to bring home one of these! 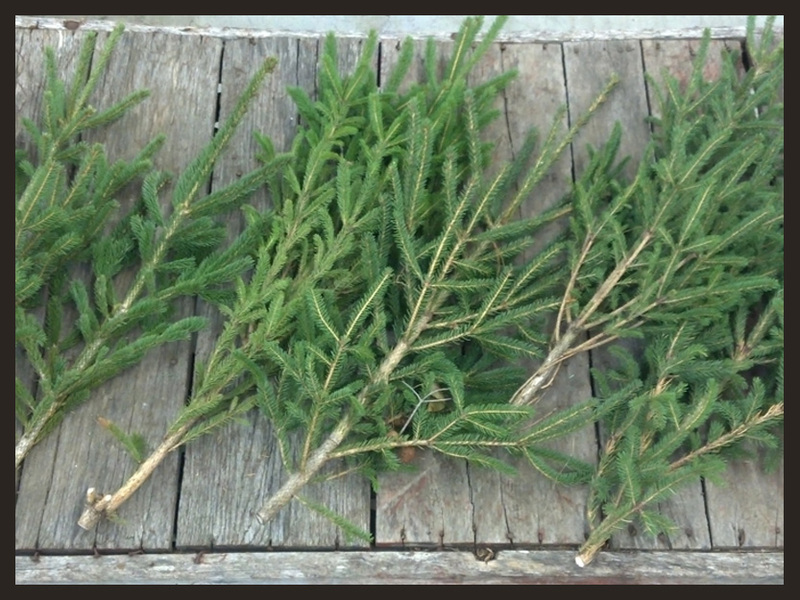 Longer needles and fuller branches than the Whtie Pine. 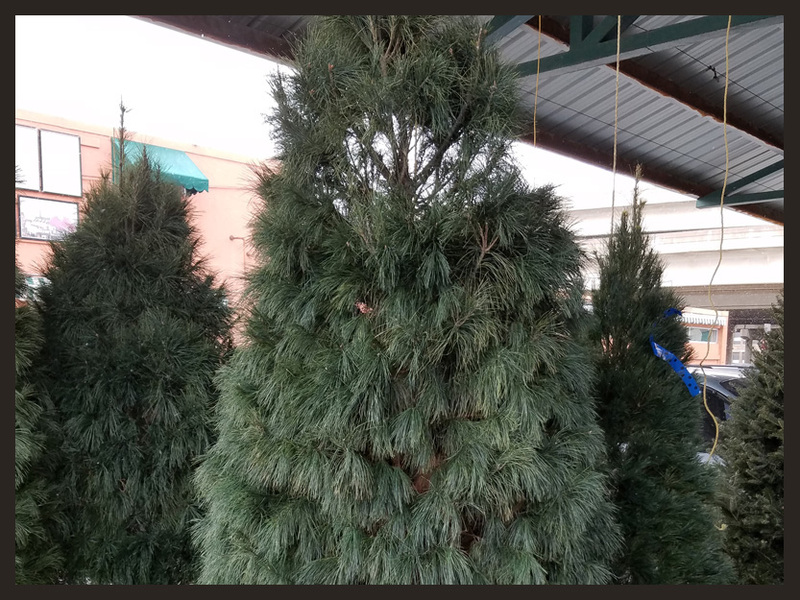 Tends to be more blue-green or even yellowish than the White Pine as well. A great Christmas tree! No, it's not actually white (well, unless it snows that is). 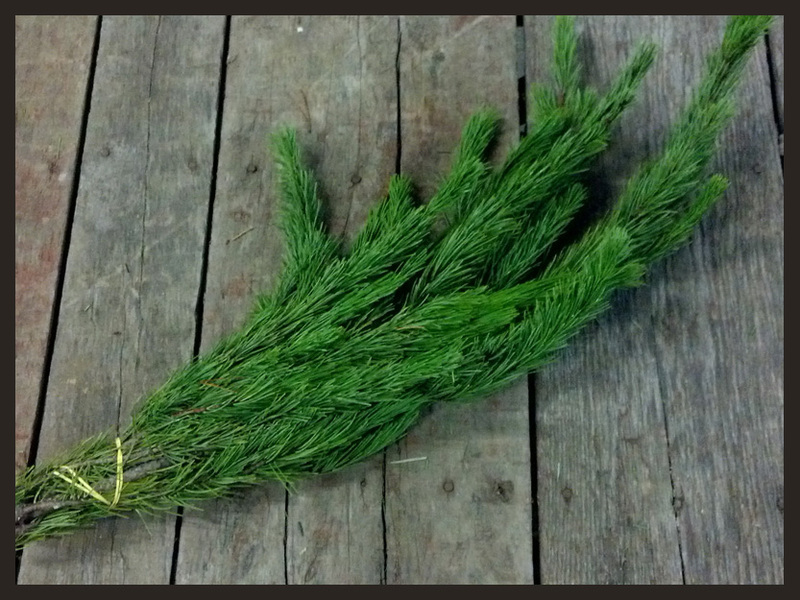 Long soft needles in a darker green tone. Classic cone shape but does shed more than a Fir. But, no less of an excellent option. 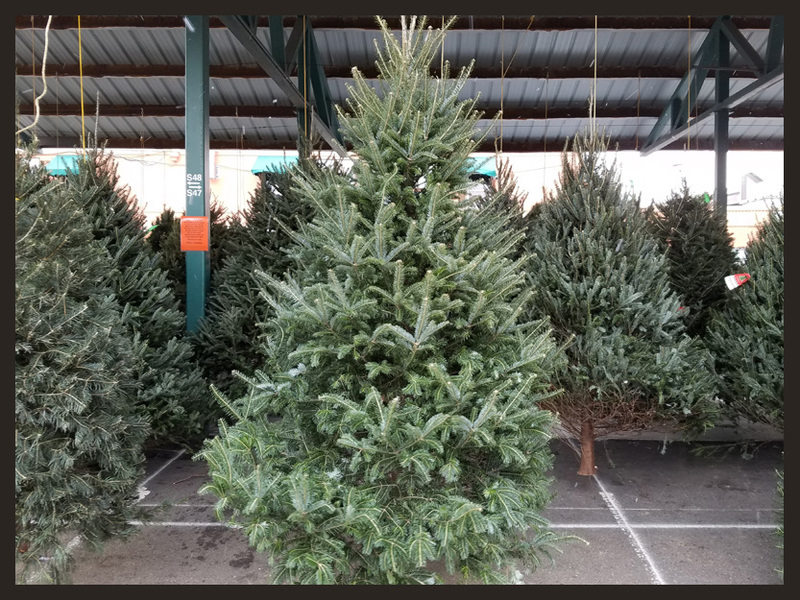 The classic Spruce! 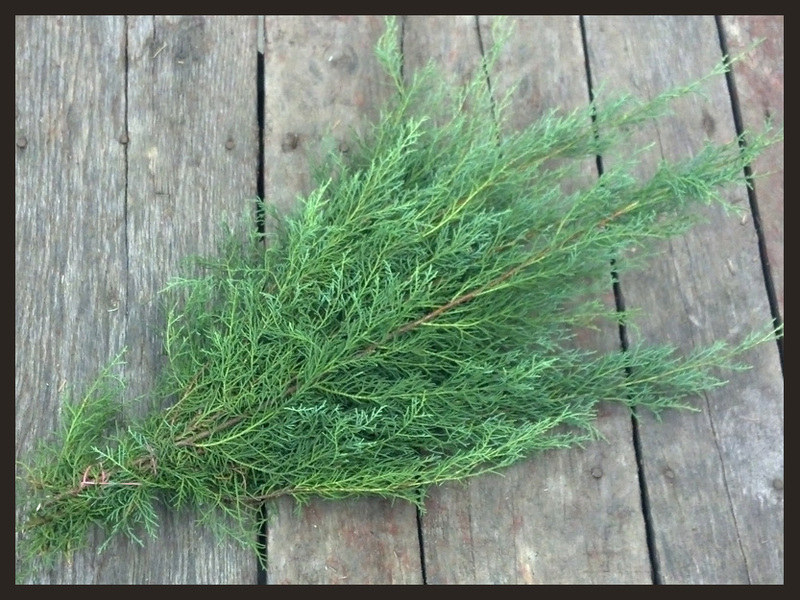 Strong, full branches of blueish-green needles. 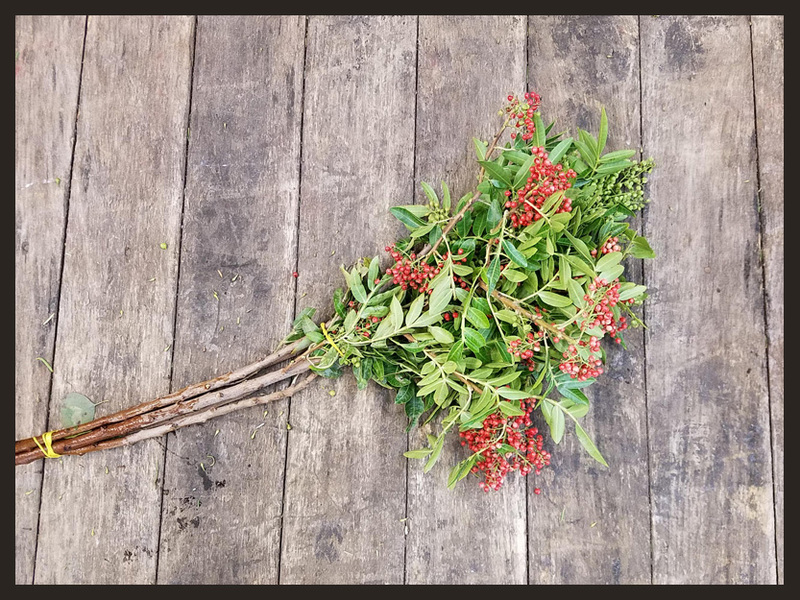 Long lasting and a touch of uniqueness in a world where most use Fir trees for Christmas. 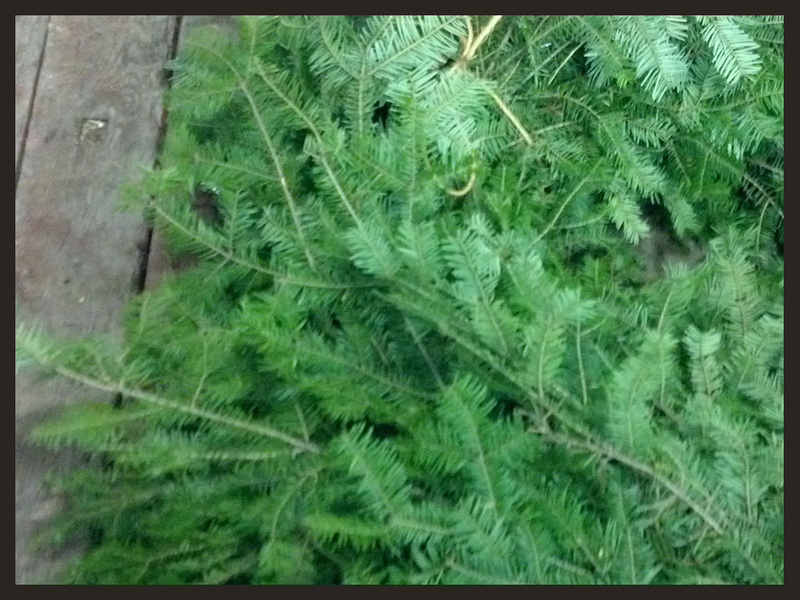 In Balsam or Fraser, a thinner looking tree than the traditional Firs. Gives a very old fashioned look. Snoopy not included. 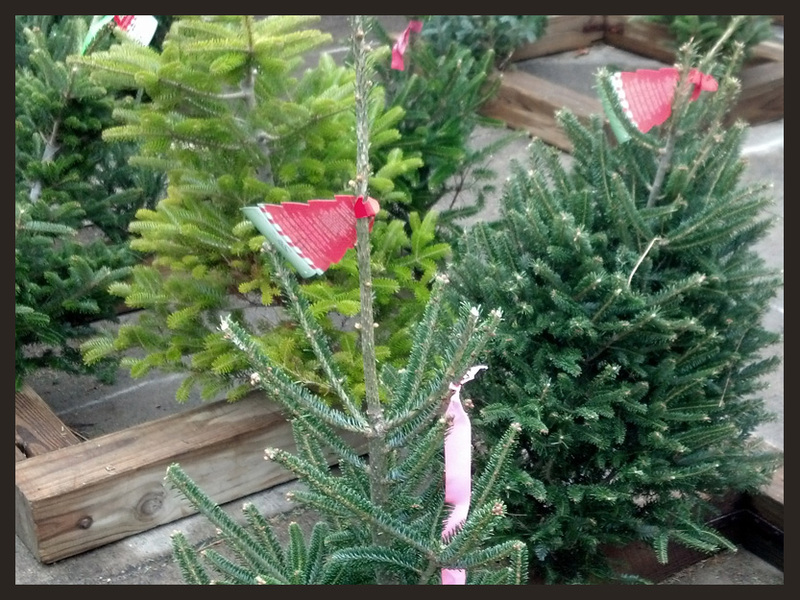 Mini versions of our trees. They're so cute! 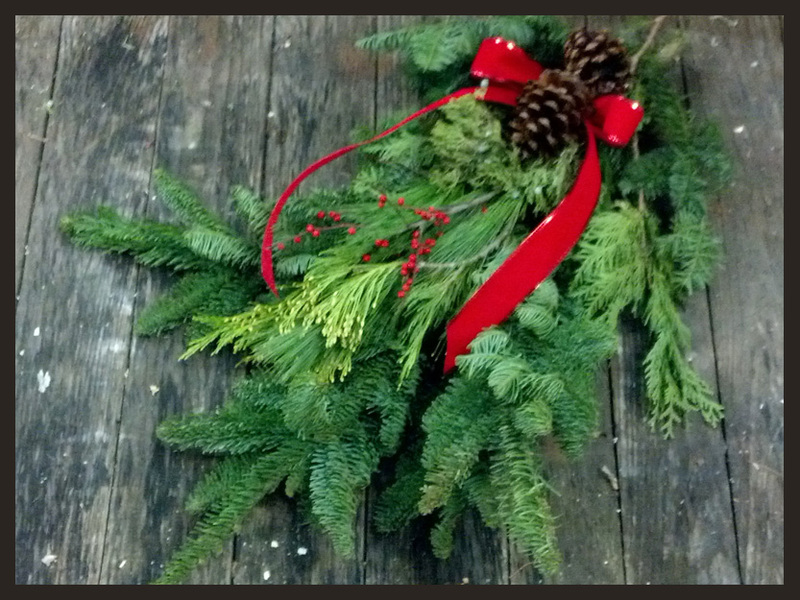 We make the best wreaths in town! 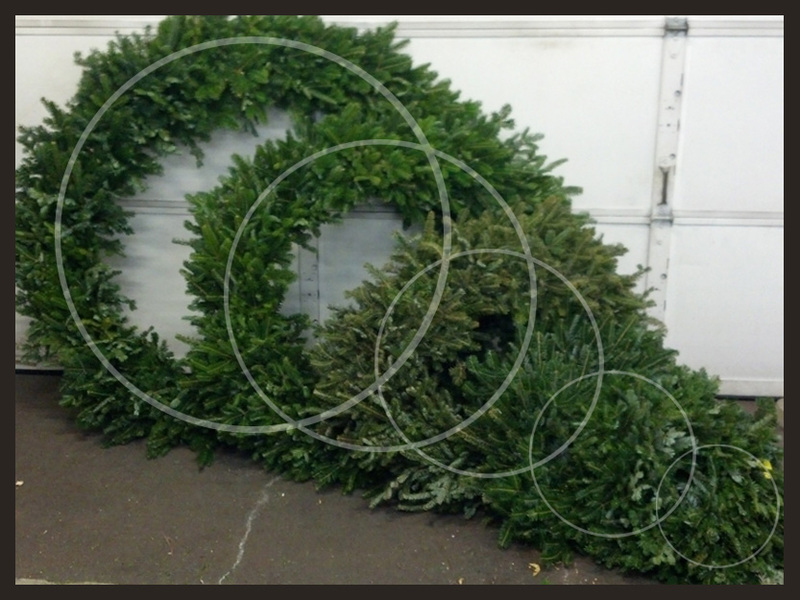 Unlike most other wreaths you'll find in town, we only use high quality Fraser Fir for our standard weaths. 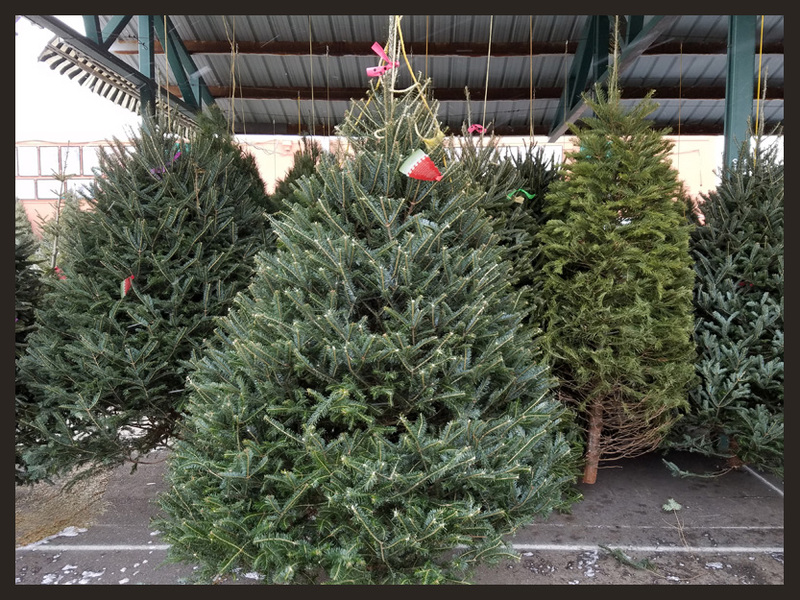 They come in 24", 30", 36", 48", and 60" and you can get them either decorated or undecorated. We make these in house, so they are always fresh! 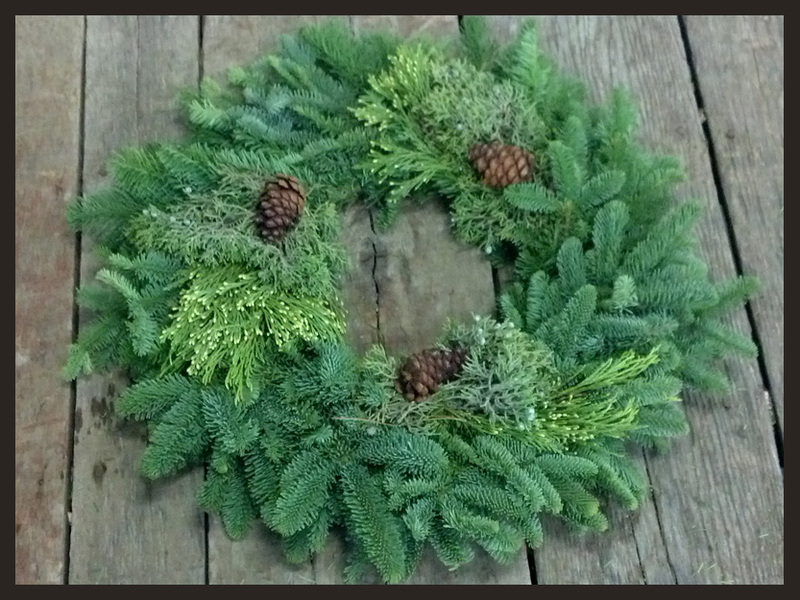 These beautiful wreaths are made out in Oregon and brought in fresh for us. They are made of a unique mix of greens. 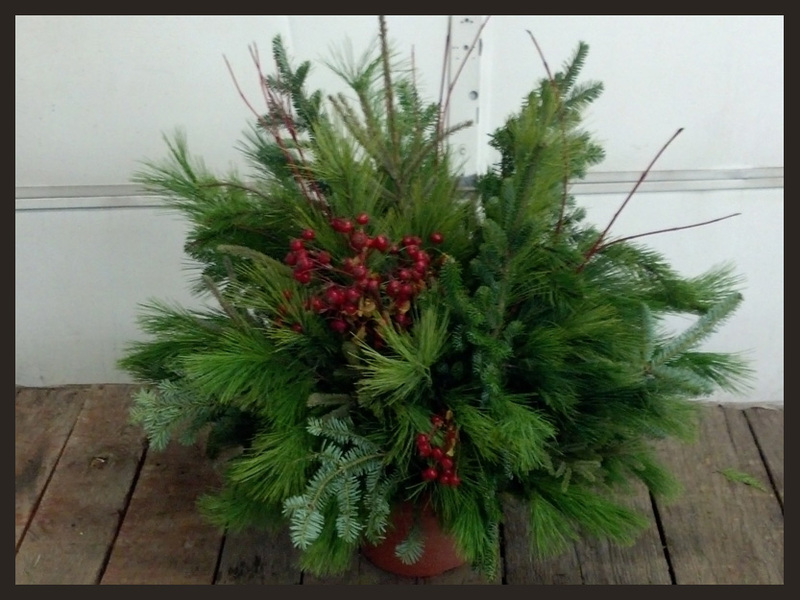 These swags add a splash of the holidays with a mix of greens and berries. Made in house. We let our designers creativity run wild making these. 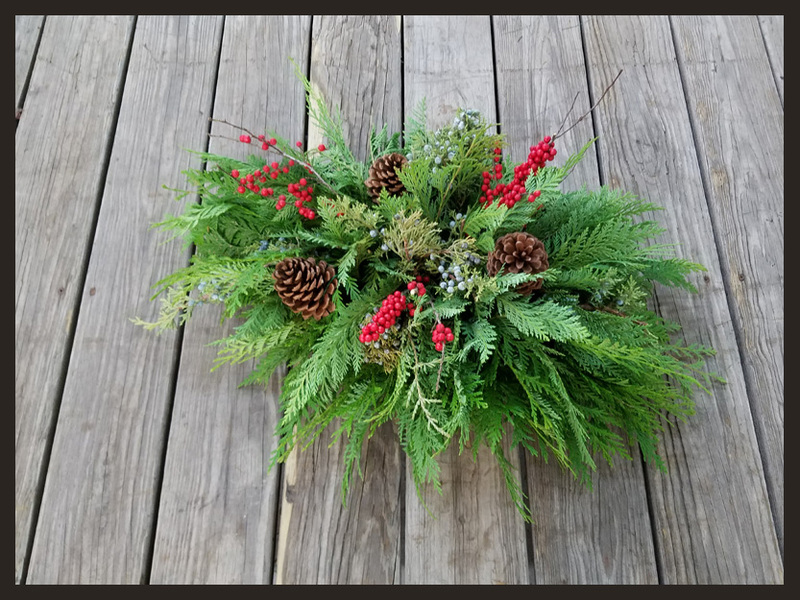 Our Centerpieces are a smaller arrangelent perfect for your table, and our Mantlepieces are a larger version to go above those stockins hanging from the fireplace. The best patio pots in town! 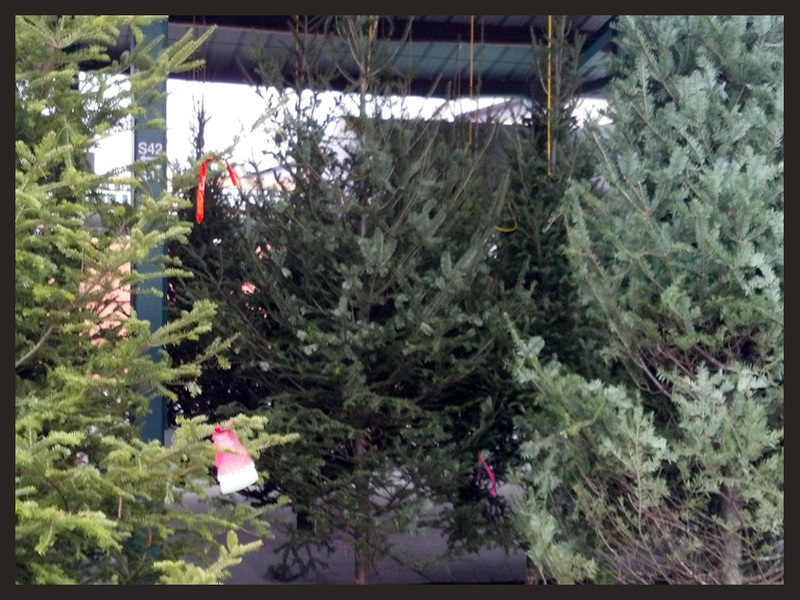 They are made in house and come in two sizes; our Medium in a 10" pot and our Large in a 12" pot. 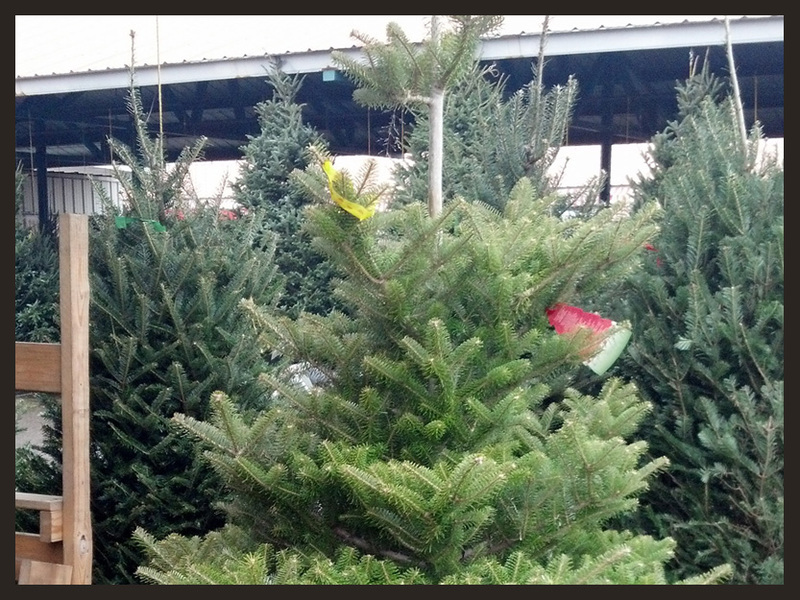 They feature a mix of spruce tops, fraser fir, white pine, and dogwood. Get one or get a deal on two! 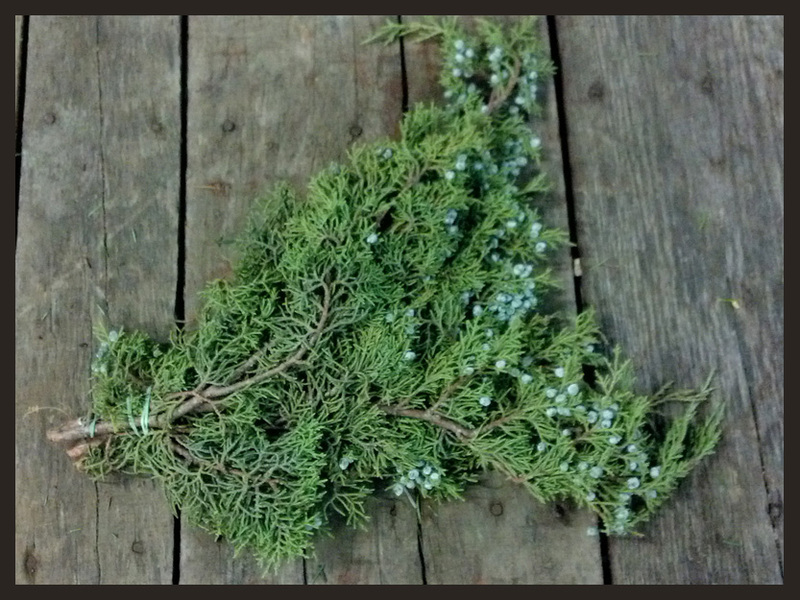 The classic holiday garland. Made in house and sold in 25' ropes. 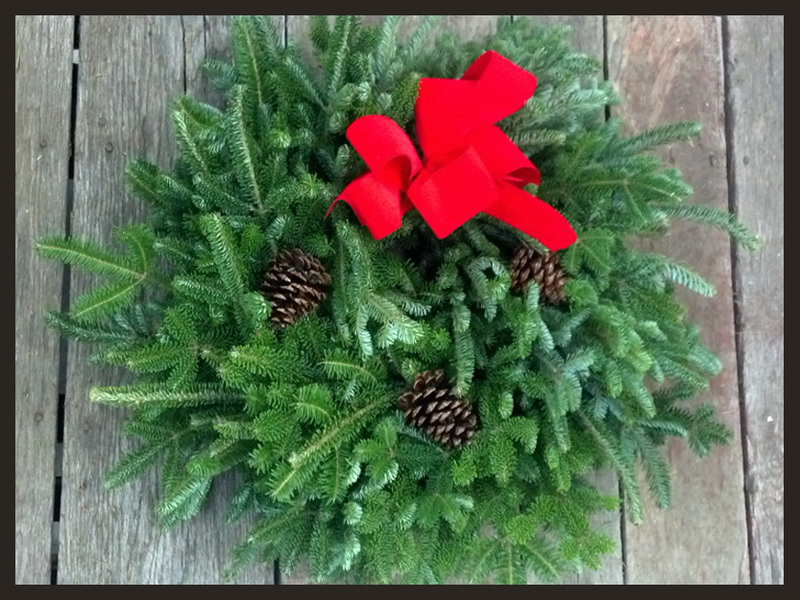 Same quality fraser as our wreaths. Made in house and sold in 25' ropes. 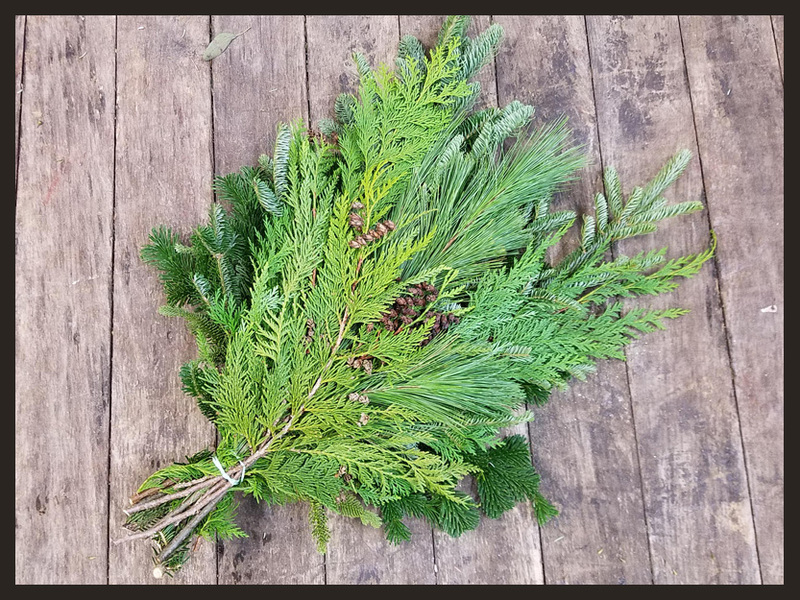 A balsam and white pine mix. Made in house and sold in 25' ropes. 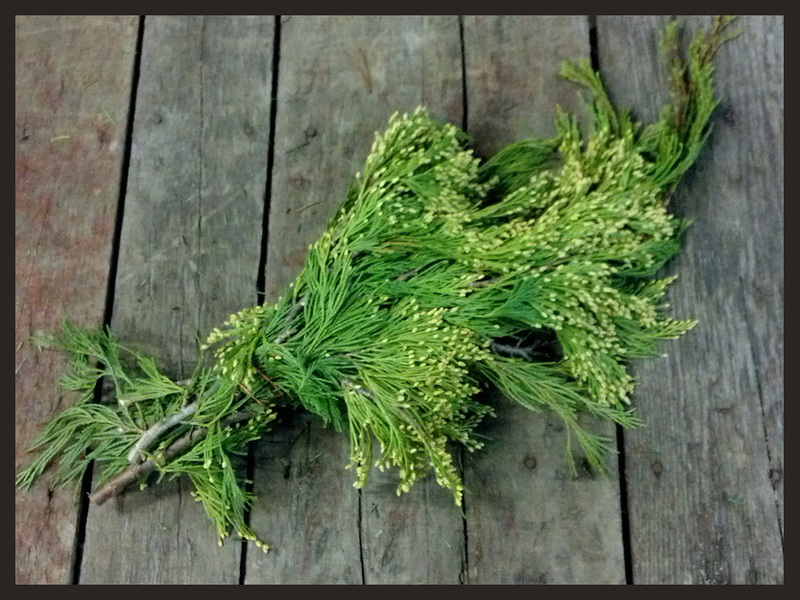 Light, airy white pine. Made in house and sold in 15' ropes. Perfect for outdoor pots and window boxes. 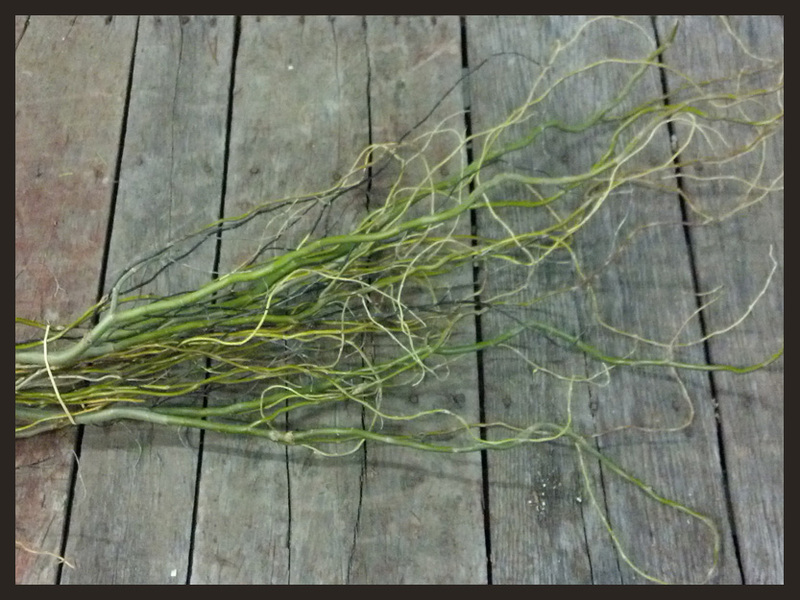 We carry medium tops in 10 stem bundles, tall tops in 5 stem bundles, and tall tops by the single stem. Fresh tops are coming in regularly. One of our top sellers. Fragrant and fresh. 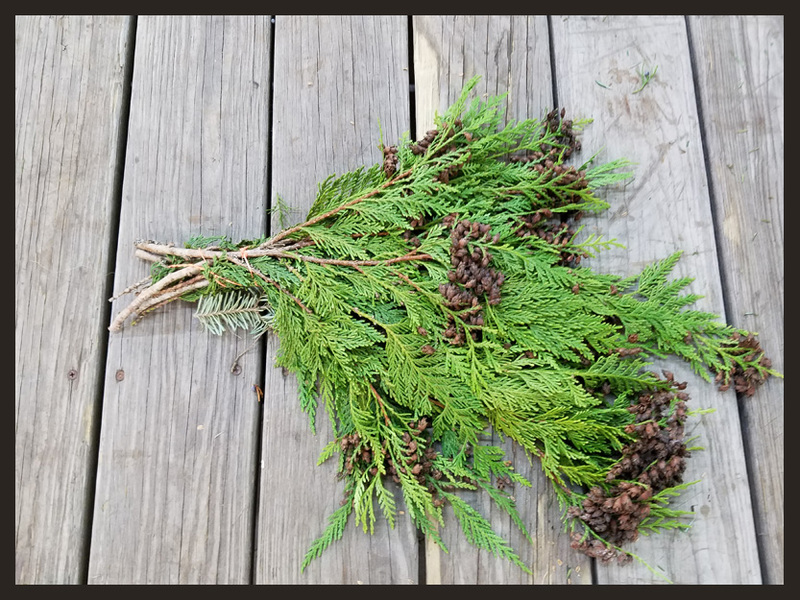 Cedar with small brown cones on the tips. One of our top sellers. 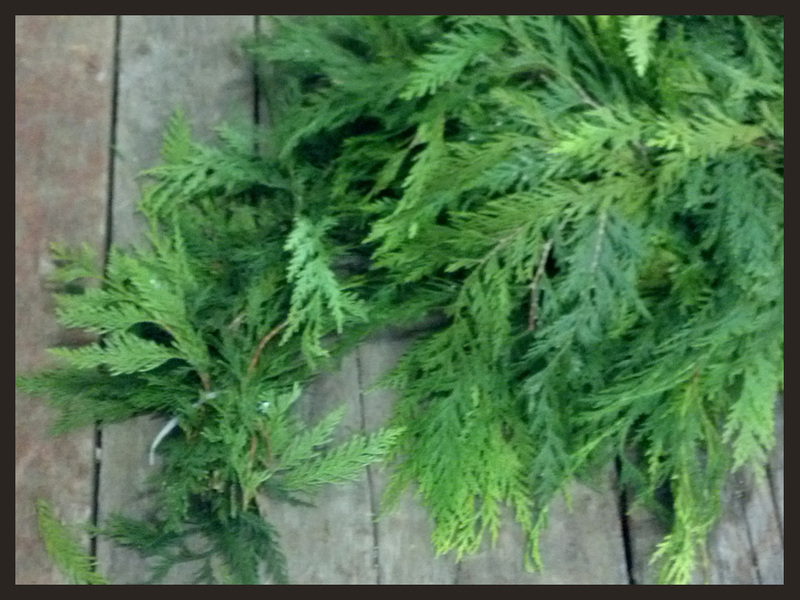 Perfect for home made wreaths, swags, or any arrangement. Thicker and fuller than fraser. Soild green both sides of the needles. 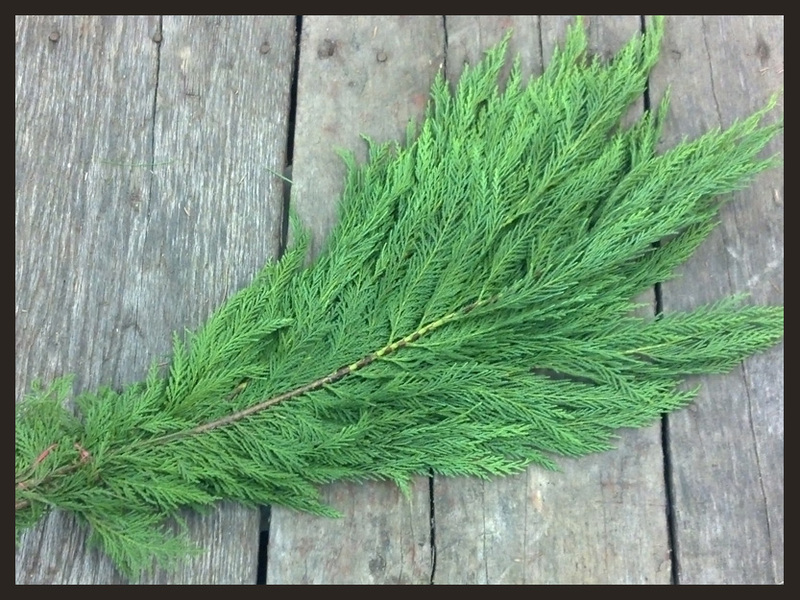 A thicker, longer and softer needle fir. Perfect for the base of a homemade swag. One of our top sellers. 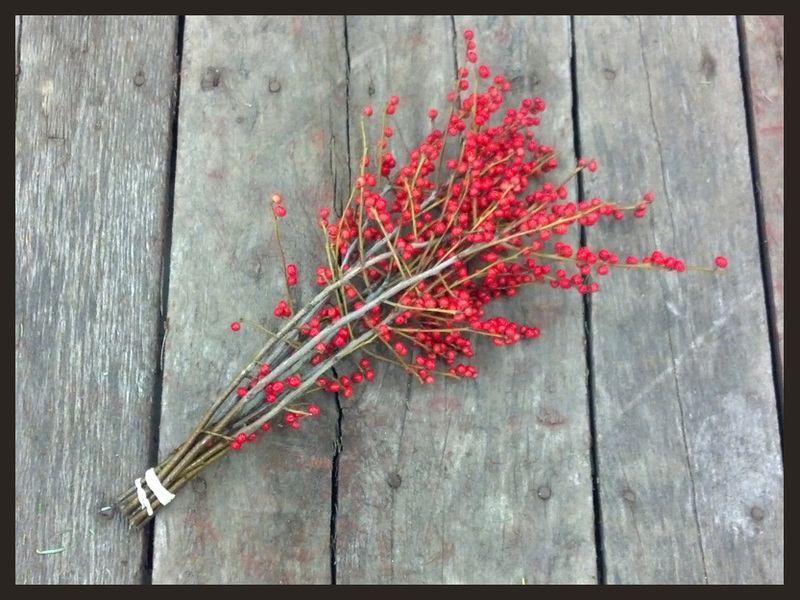 Perfect for adding a different color and texture to arrangements. 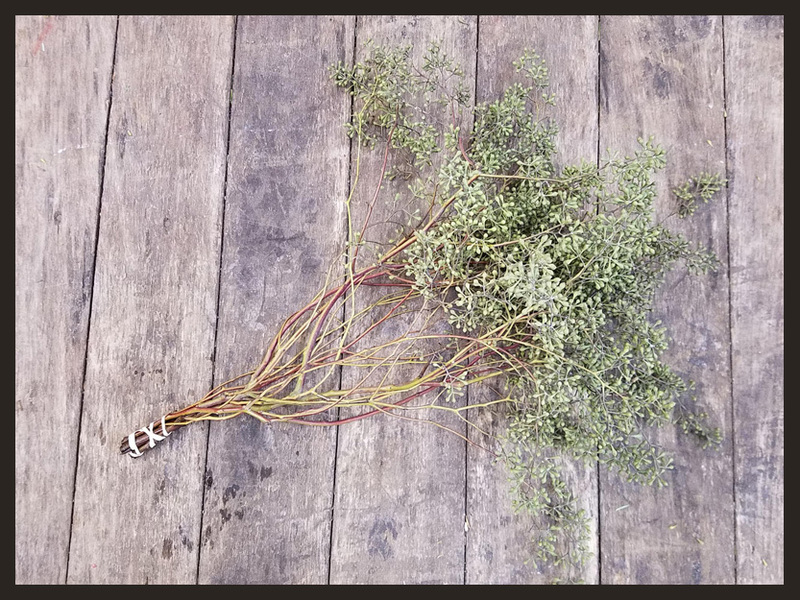 More wispy foliage than traditional juniper and more plentiful blue berries on the stems. Growing in popularity. 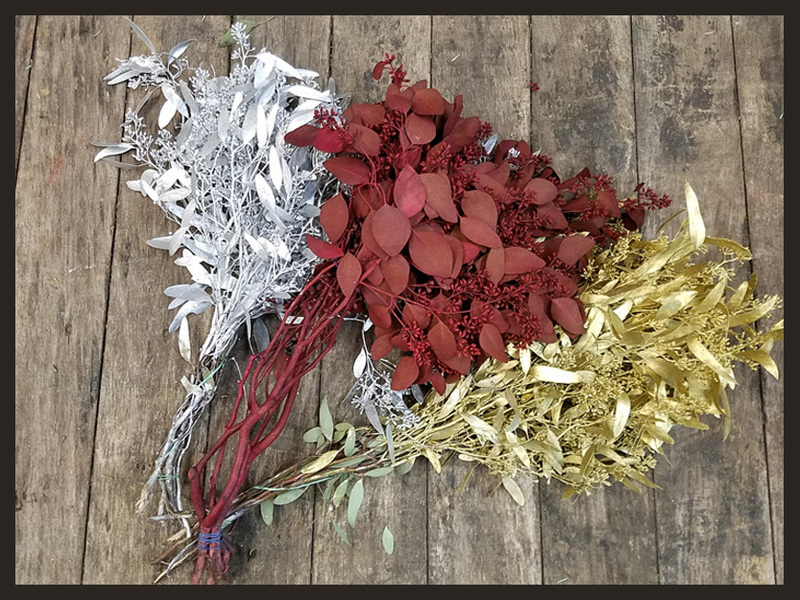 Another great option for a change in color and texture. 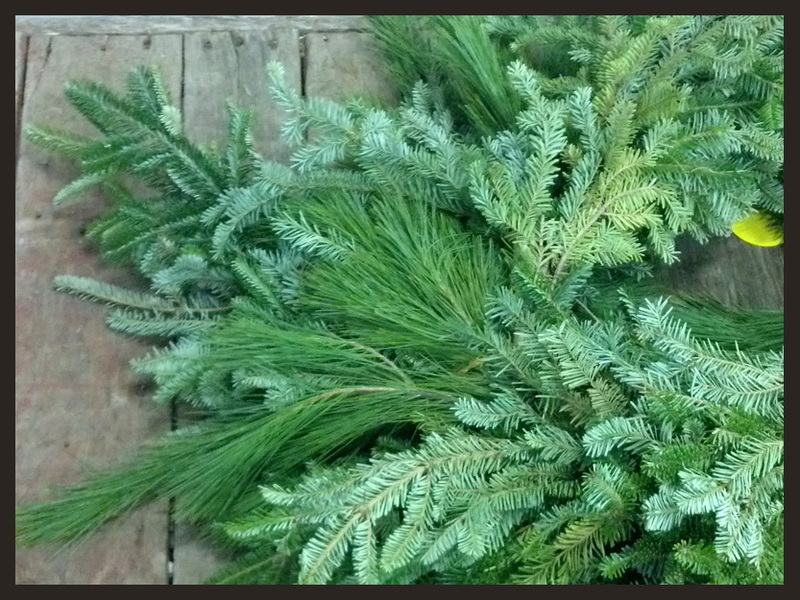 Mixed bunches of greens with a good sampling of our pine, fir, juniper and cedar. 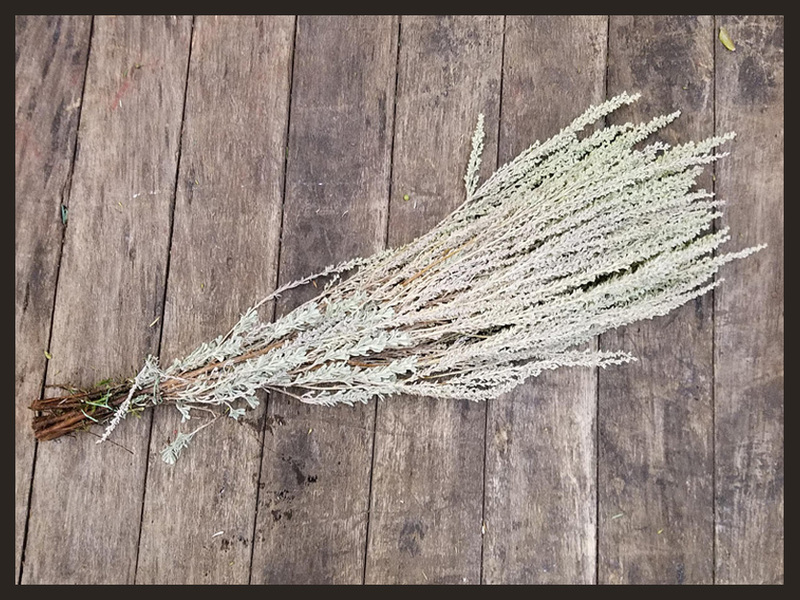 A long needeled pine. 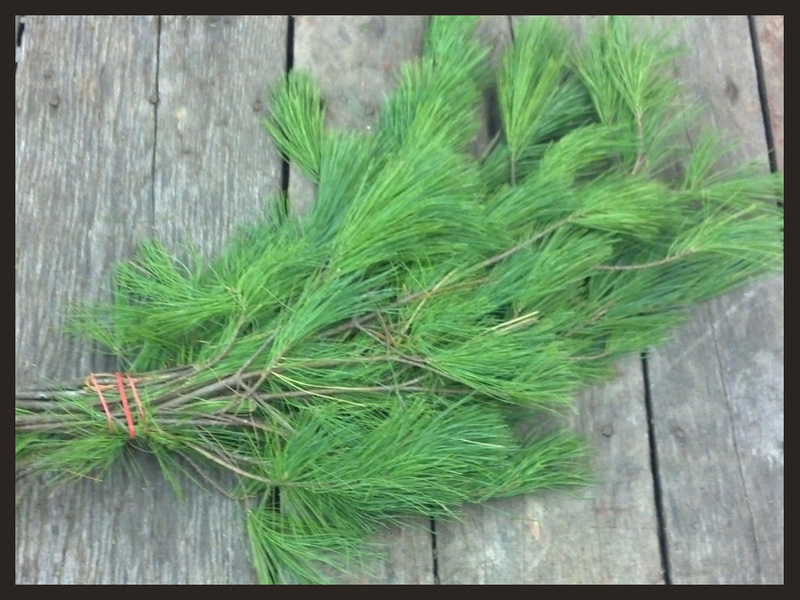 Longer, thicker, fuller branches than white pine. 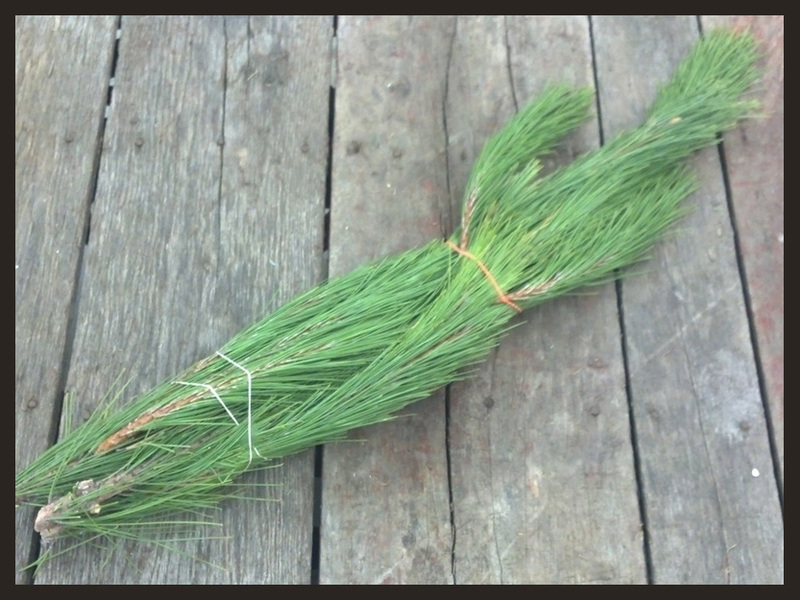 A darker green than white pine with shorter needles. One of our best sellers. 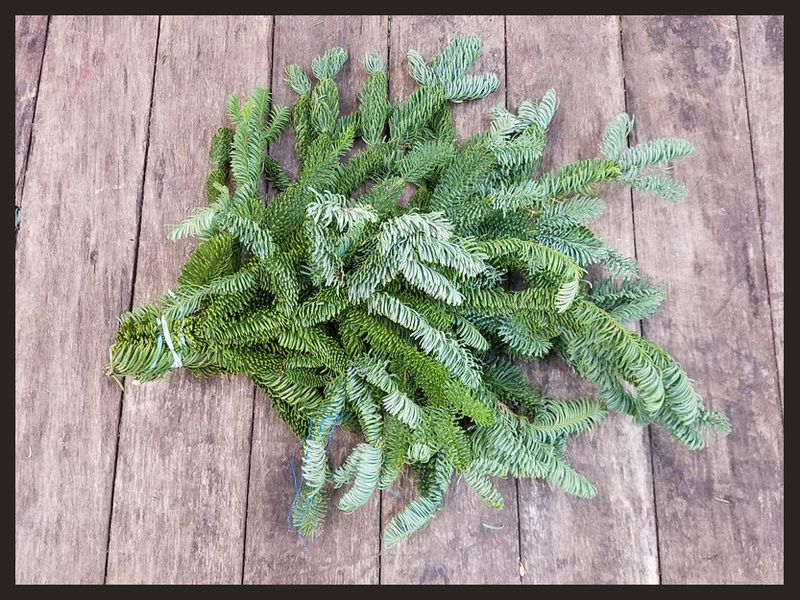 The classic Christmas pine. 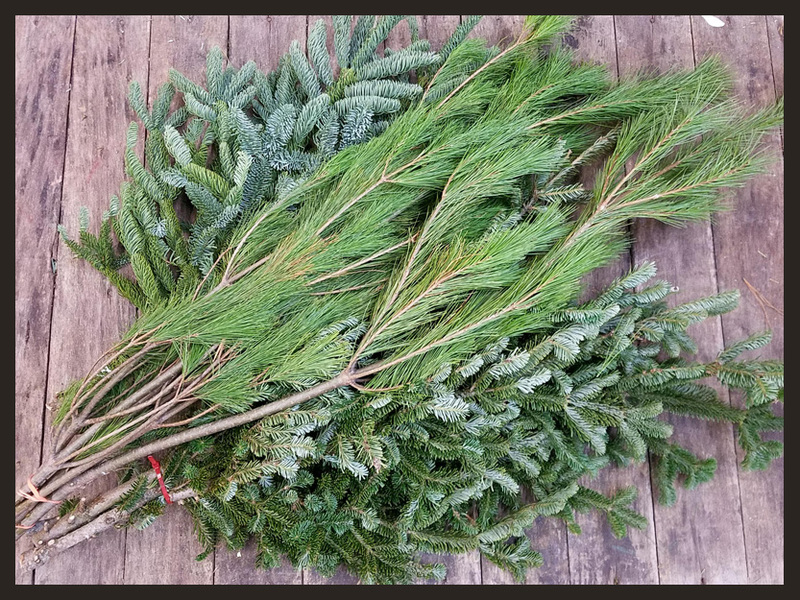 Bunches of our fraser fir, noble fir, silver fir, white pine or norway pine left extra long for more flexibly. 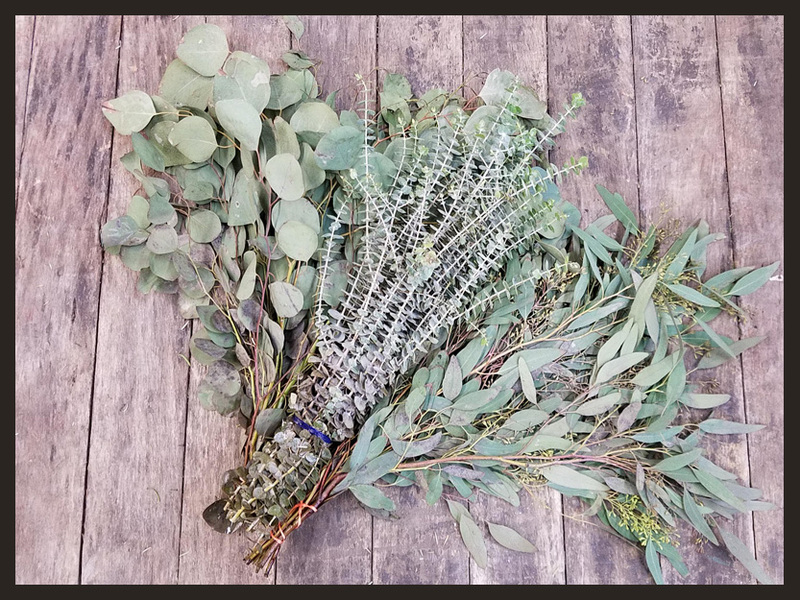 We carry seeded, silver and baby eucalyptus. 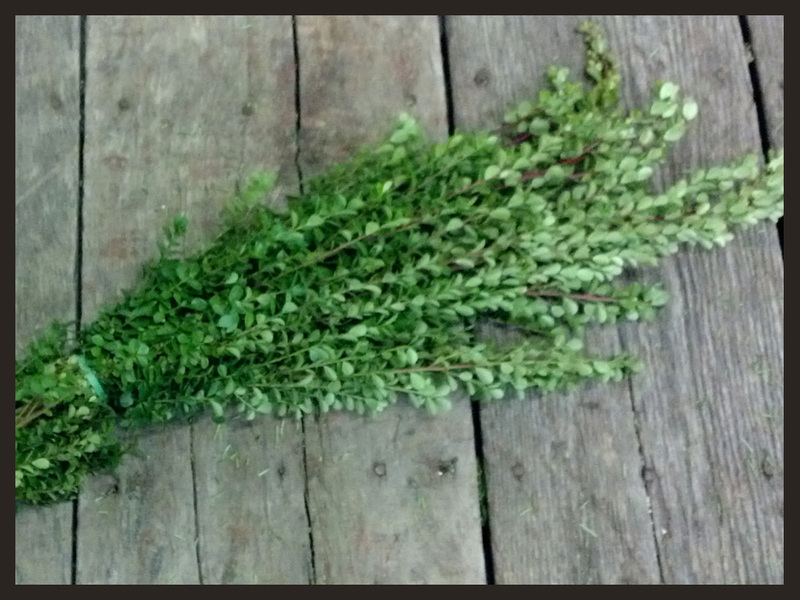 We can also get ahold of this fresh (in water) if you are looking for some for a wedding arrangement. 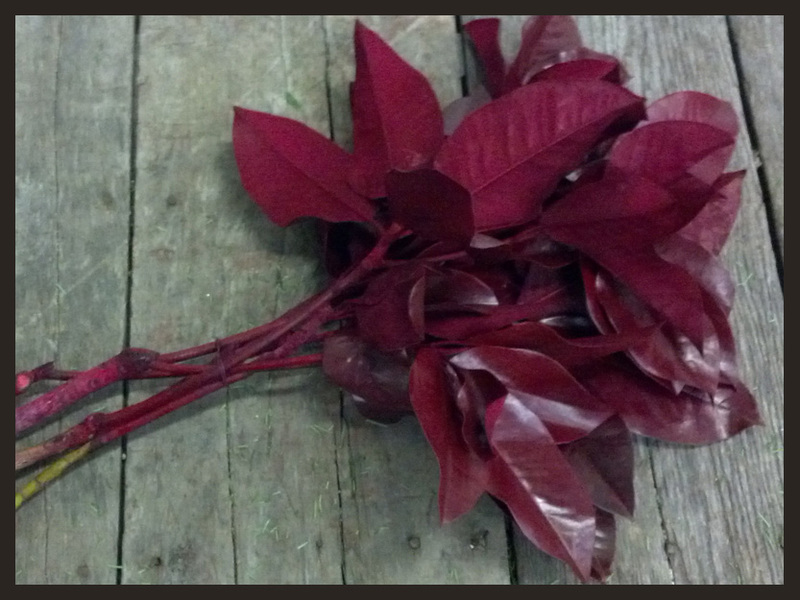 Dyed seeded eucalyptus, available in red, burgundy, gold or silver. Seeded Euch without the leaves. Full branches of seed heads. 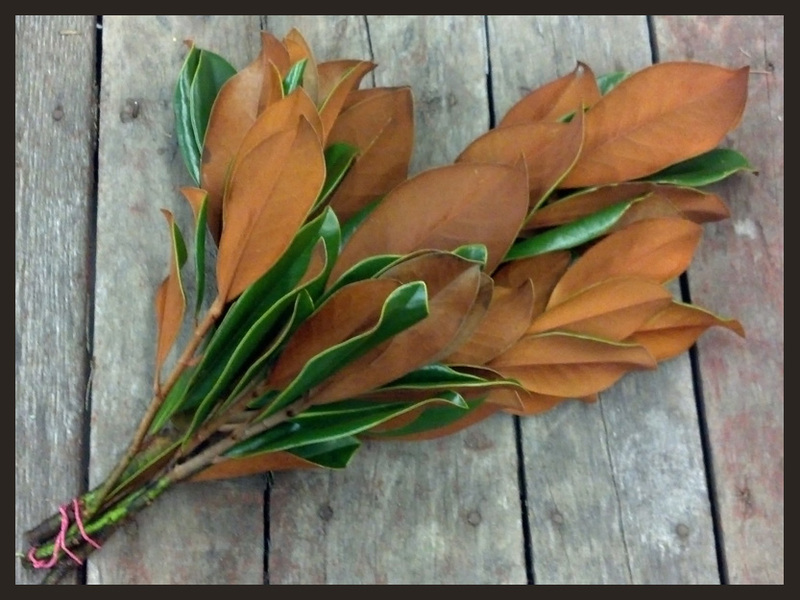 Natural magnolia adds amazing color to your Christmas arrangements. Dyed red for a pop of bright color. Sold in the upright form. Excellent red berry. A blue berry for the holiday season. Subtle red pods for accents. They have thorns, so be careful! A trendy accent. These hardy pods will add a unique touch to your arrangement. A silver-gray accent. We sell it only in it's natural color. One of our most popular accents. 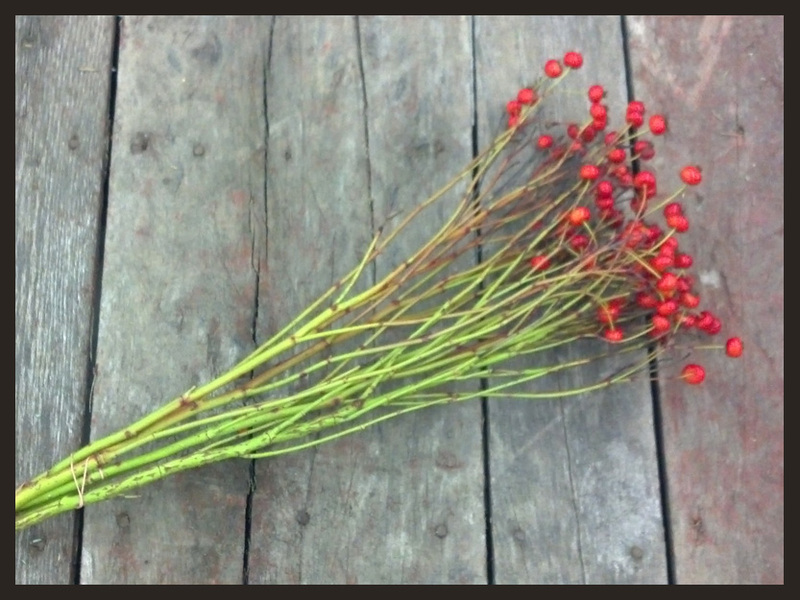 These bright red berries are perfect for any holiday pot. A very trendy look! 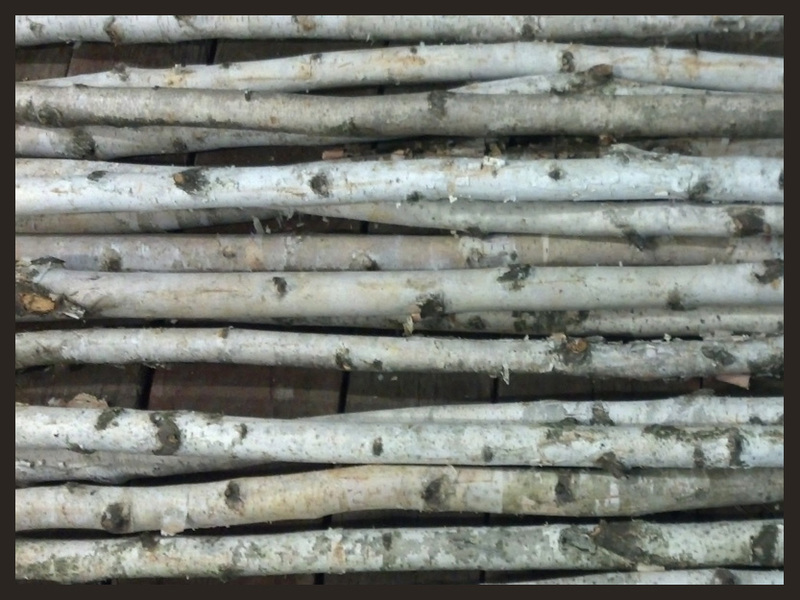 We sell birch logs both in individual logs (6'-10' in length) or in 3 packs, perfect for your pots. 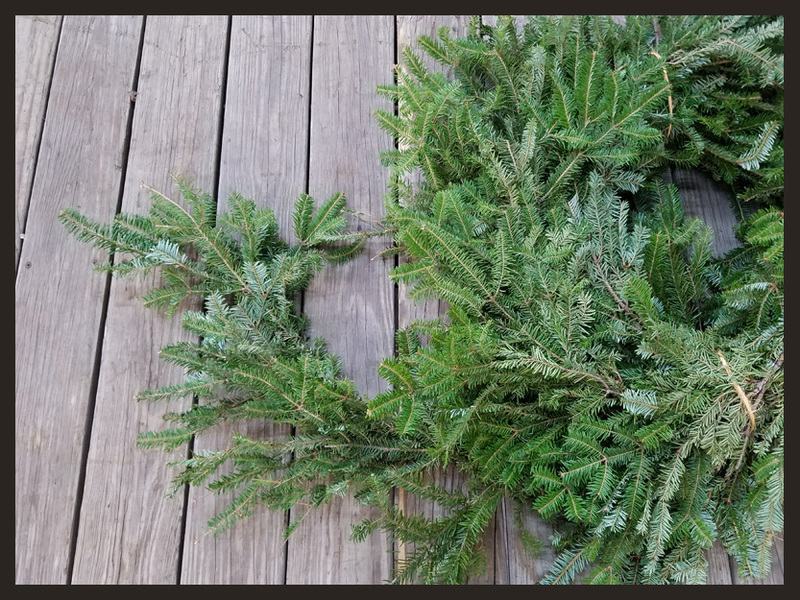 Cut and perfect size for the yule log. 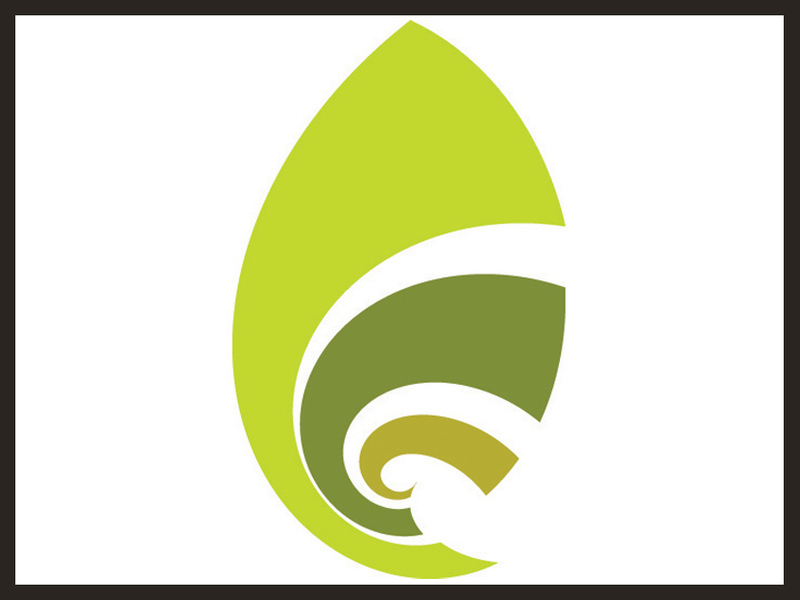 A classic branch in both green and yellow. The classic holiday branch. 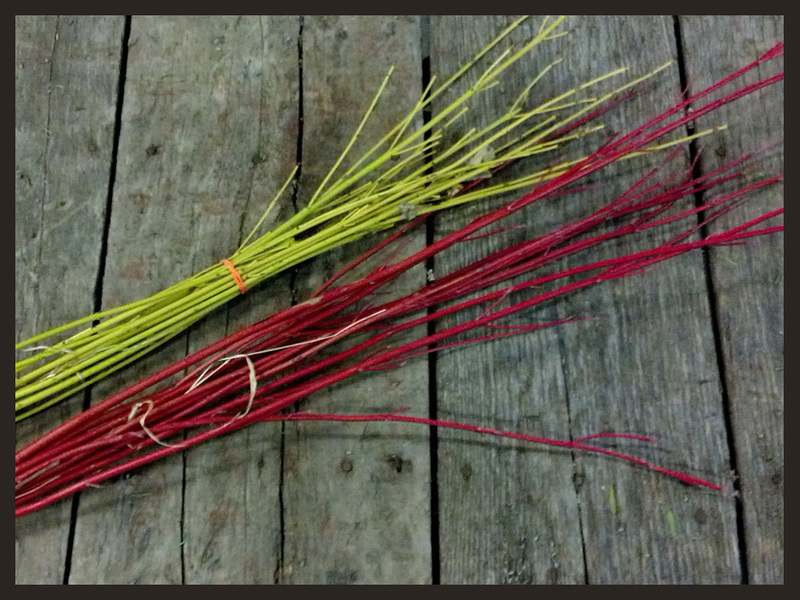 These bright red or yellow branches brighten any pot or arrangement. Just like dogwood, only orange in color.